Hi there friends, long time no post....sorry!! This poor little blog gets neglected! Everything is on Instagram these days. I bought this lantern from Big W and decorated in lots of pretty flowers and leaves. 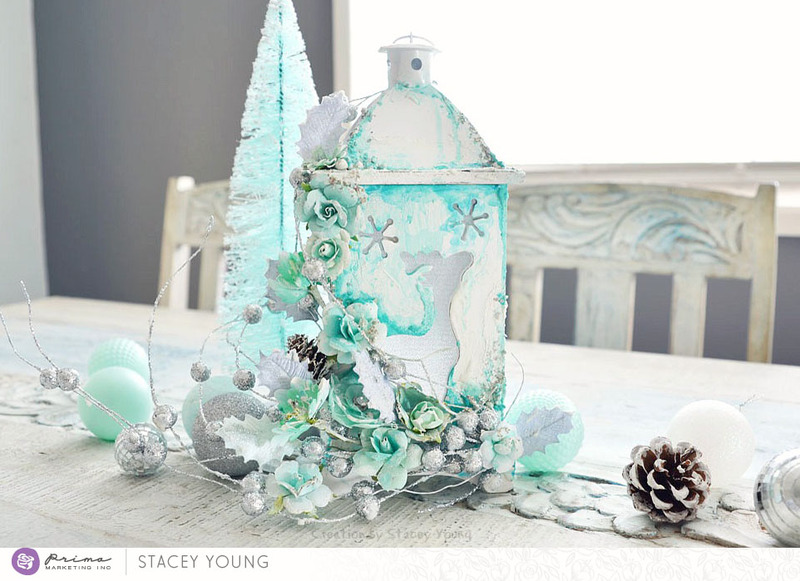 "I just adore Christmas, although it's an extremely busy time, I just love it and the decorating. 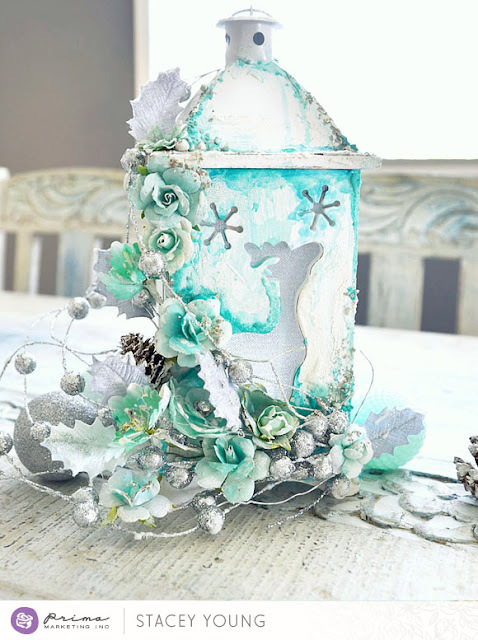 I created this centerpiece using a lantern. It's decorated in lots of pretty mint and silver flowers, with a few mixed-media touches including the gorgeous Snowflake Paste. It's such a pretty piece and I love that it's been added to my collection of handmade Christmas decor." 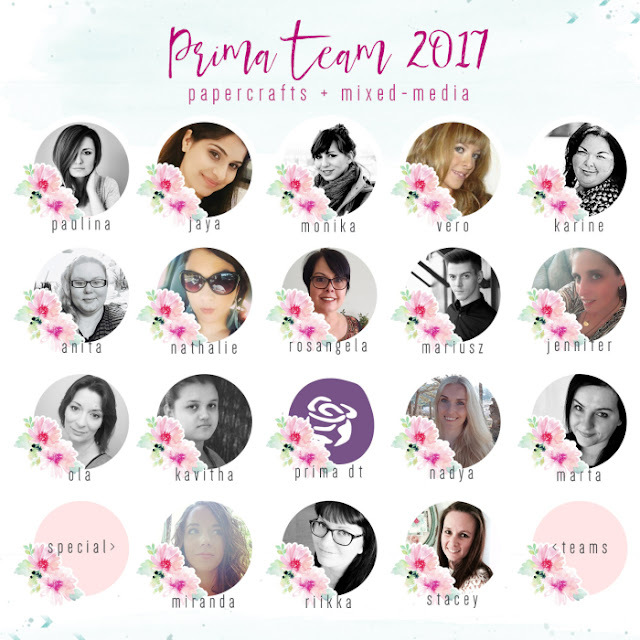 Thought I would stop by with a couple of Prima Marketing creations. 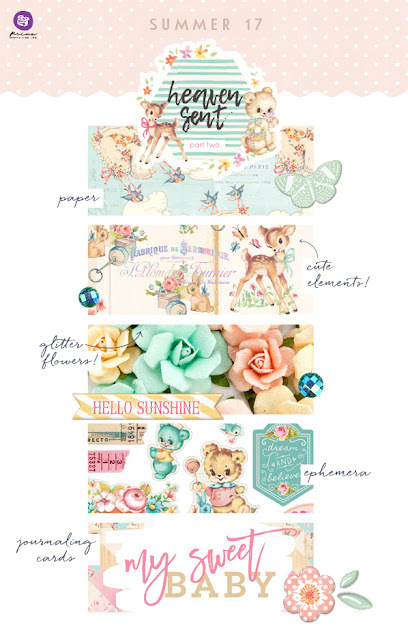 First one is a layout featuring the brand new Amber Moon collection. 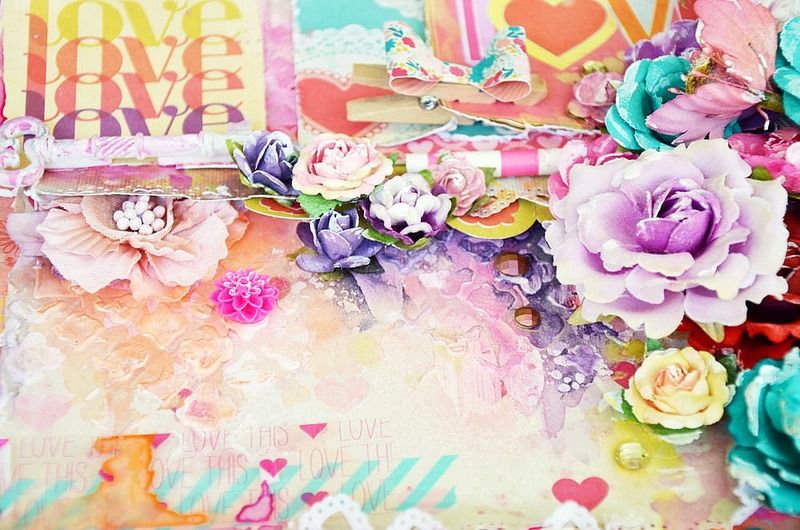 So many pretty papers and beautiful flowers in this collection. 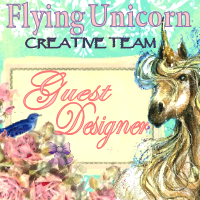 Next up I have my Unicorn canvas to share. I used lots of mixed media products here along with watercolours. The flower mane is just the prettiest right? So magical!! Just popping in with a couple of Rose Quartz tags. 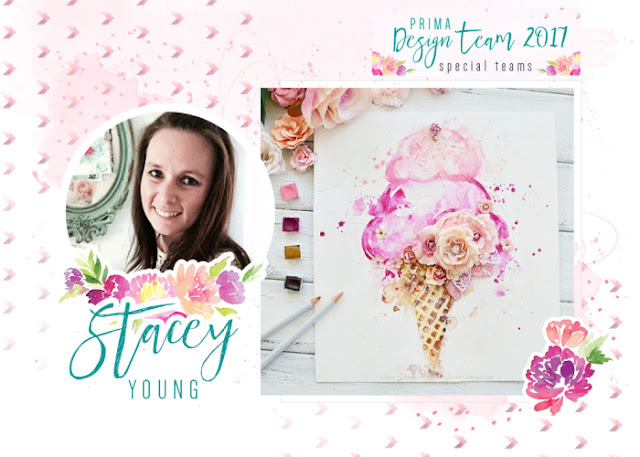 Prima Marketing Inc have just got this collection back in so if your local store doesn't stock it, get them to head on over to the website to order this gorgeous collection. "The Rose Quartz collection is such a delight to create with, it's the perfect amount of shabby and pretty combined. 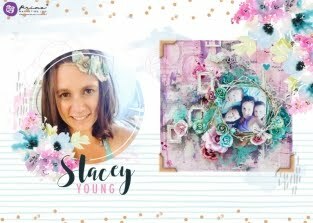 I created two tags to share today using lots of mixed media products, papers from the collection and lots of gorgeous flowers". I hope you will continue on my creative journey with me! With that being said, I have some new collections to share for Summer 17. The first one is Heaven Sent 2. It is completely adorable and I'm so in love with all those gorgeous vintage icons.....and of course the flowers! Here is my first creation using the Heaven Sent 2 Collection. Some details - Those flowers!!! It's definitely a super sweet collection! Another gorgeous collection for Summer, Amber Moon by Frank Garcia!! Some detailed shots, I love the pink and brown here, I don't use brown alot but this just looks gorgeous!! I am stopping by this evening with my Journal Cover I created using new Finnabair products - Impasto Paints and Acrylic Paints. I have been wanting to cover this journal for a while and just love how it turned out. Here are the new colours I used! So pretty right?!! Secondly tonight, I have a brand new creation for Pretty Little Studio using the new collection Dream Big. It is so gorgeous this collection, just love the colours with the splashes of black through it. The first one is an Icecream watercolour illustration with a flower cluster. 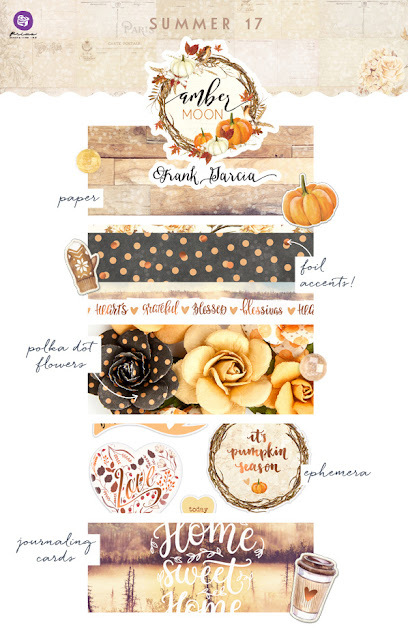 Absolutely love everything about this, it was so much fun to create! Secondly I have a small canvas to share featuring the Resist Pen by Christine Adolph. I just love the blue and turquoises here. Just something a little fun and beachy!